The NEXTClub is fondly termed the “home of subtitling” by current members and presents a rich resource of information and the chance to become friends with other SubtitleNEXT product users and pros, as well as share tips and get questions answered while having a lot of fun at the same time. “NEXTClub is a unique digital space to do business for the ambitious, or just to unwind after hours; – NEXTClub is at the heart of our network. Designed for pros by pros, they’re online havens where members can take time out, or put work in; places to meet a network of brilliant, like-minded people or use them as virtual spaces where significant things happen every day to enhance your work life.” Declares CEO and managing partner Ivanka Vassileva. The NEXTacademy is evolving into an educational space aimed at equipping students and industry newcomers with the tools to achieve their goals and build confidence along the way. 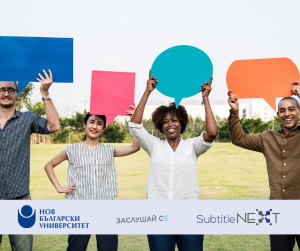 The team behind the SubtitleNEXT software are passionate about preparing students for the workforce by providing access to critical skills they need to qualify for high-demand and high-skill jobs in subtitling and captioning careers. 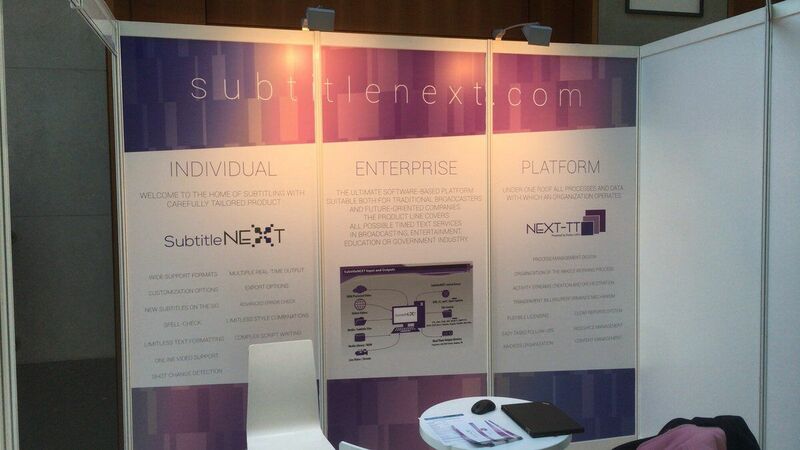 SubtitleNEXT is quickly being adopted at many well-respected organisations such as Italy’s IT Pros Subtitles® ,The European School of Translation, the New Bulgarian University and Listen Up foundation as well as the largest production house in the Benelux region Videohouse in Belgium, plus many more. PBT EU Environment Policy: We are committed to the protection of the environment through implementation and utilisation of responsible operation & management practices. We will adhere to the highest standards of environmentally safe operation of our locations for the protection of our employees, sub-contractors, clients and the people and communities in which we do business. Sofia, Bulgaria, 6 February 2019 – Imagine having limited access to news platforms, talk show programmes, native language films and your favourite TV series? There are over 120, 000 hearing-impaired people in Bulgaria today that are in this isolating position and shut out from participating in every day communications that most of us take for granted. As a part of a collective Corporate Social Responsibility (CSR) initiative for 2019, the creators of the SubtitleNEXT technology, PBT EU and Profuz Digital, are delighted to announce that they are joining forces to sponsor and partner with the “Listen Up” foundation and New Bulgarian University (NBU). Both companies will provide pro-bono support to the foundation and university to help a worthy cause that aims to open up much wider media access to the hearing impaired. They will be involved in the first-ever professional course of its kind, specifically designed to train up transcribers and live captionists to national broadcast standards that will bring enormous subtitling benefits to many individuals with hearing difficulties. PBT EU / Profuz Digital Environment Policy: We are committed to the protection of the environment through implementation and utilisation of responsible operation & management practices. We will adhere to the highest standards of environmentally safe operation of our locations for the protection of our employees, sub-contractors, clients and the people and communities in which we do business. PBT EU / Profuz Digital Corporate Social Responsibility Policy: We are dedicated to integrating ethical, social and environmental factors within our business strategies aiming to constantly improve our CSR performance. We believe that CSR is integral to the long-term sustainability of our industry and benefits the market around us, and we try to be responsible in all our interaction with customers, suppliers, employees and the wider community. 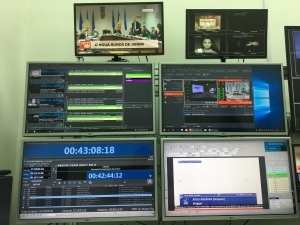 The University of Warsaw has made the move to upgrade its Journalism Department to HD. PBT EU, alongside technology partner 4Visions were called on to create an entirely new virtual HD studio. The significant shift from SD has now provided them with cutting-edge capabilities in playout, recording and playback preview using PBT EU’s EXEcutor broadcast server range and 4Visions installations. 4Visions key account manager Wojciech Łazuk and technical specialist Mariusz Tomala worked with PBT EU on the project which covered a plethora of high-end audio and visual technologies and state-of-the-art systems that included the likes of the Soundcraft Si Expression 1, Sennheiser, HP, AJA, archiving and HD recording systems including Sony cameras and equipment. “Our company has been integrating PBT EU’s broadcast products and solutions for many years now and the experience we share as partners, combined with our customers’ satisfaction, certainly boosts our enthusiasm for the work we do.” Commented Wojciech Łazuk from 4Visions. 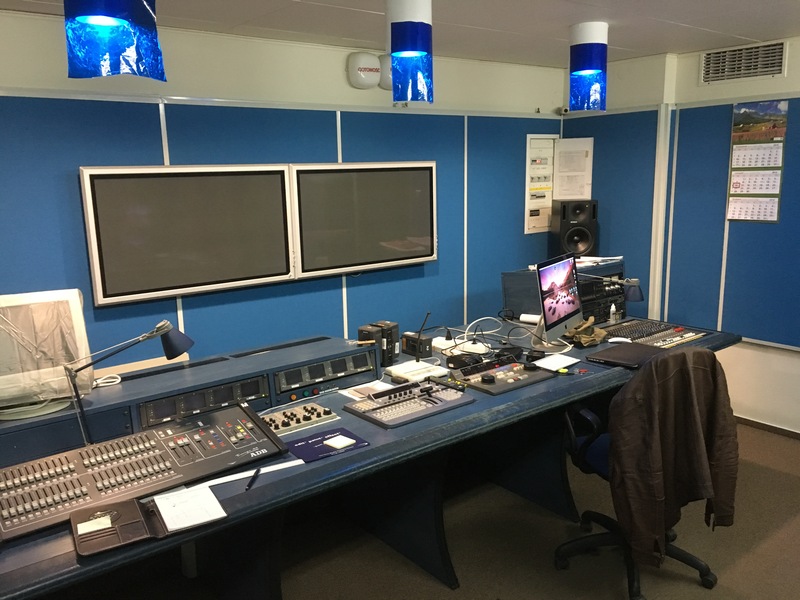 Belgium’s Videohouse media facilities selected PBT EU’s SubtitleNEXT software to further enhance their content services department predominantly for the creation of subtitles. PBT EU develops and provides performance-leading solutions and customisable engineering system integration to empower content providers, broadcast, production, and post-production professionals to operate efficiently at the forefront of an ever-evolving digital environment. Two levels of SubtitleNEXT, chosen by Videohouse included SubtitleNEXT Explorer and SubtitleNEXT Expert. 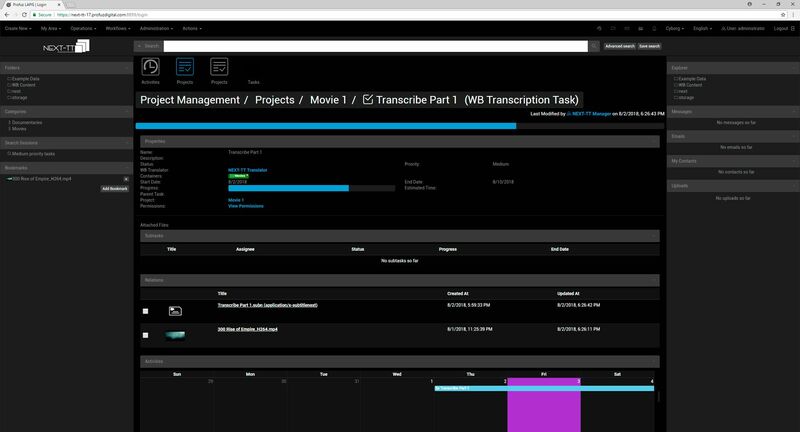 SubtitleNEXT is a user-friendly, innovative, customisable, intuitive timed-text software platform. Already adopted across various multimedia industries, it easily adapts to any settings, resolutions, and formats across online video, TV, film, theatre, concerts, festivals, conferences and events. It can be applied throughout the entire production process from concept to distribution. Well-established for over 30-years, Videohouse dominates the Belgian market by producing films and videos, owning television and broadcast studios, and offering TV, news, movie, and B2B production, as well as AV engineering services. Renown for seeking out the best in technology and expertise and owing to its continued success, Videohouse is able to invest in innovative systems, and therefore maintains its status as a forerunner in a competitive market. Videohouse also boasts state of the art post-production services hosting a versatile department of video editors, audio mixers, colourists and graphic designers who work closely together to obtain the very best creatively. 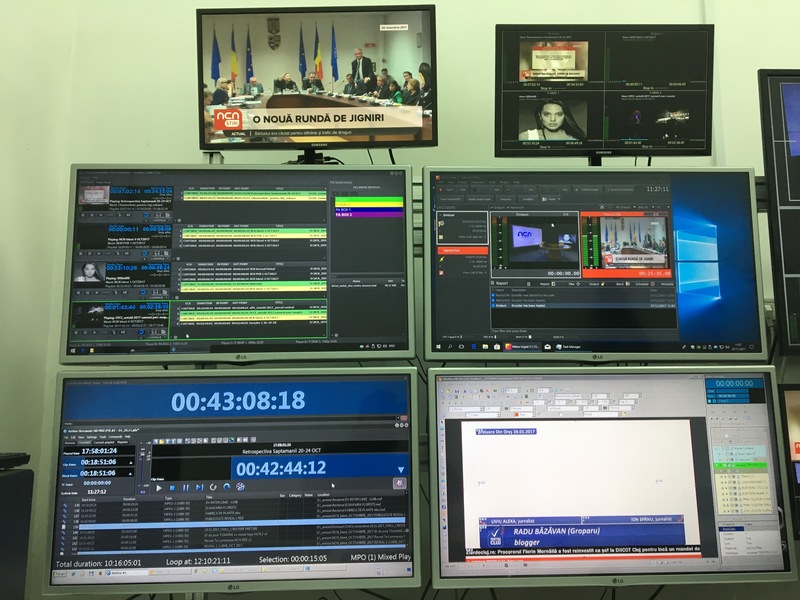 Videohouse also has its own Playout Centre that can be flexibly adapted to the specific needs of the various types of broadcaster. Videohouse has worked on high-profile projects such as the Olympic Games to the Eurovision Song Contest, and serves big-brand accounts such as Endemol, CanalZ, Council of Europe, European Commission, European Parliament, Fremantle Media, Play Sports, MediaLaan, Ring TV, Rai Italia, RTL TV1, and vrt, to name just a few. Videohouse is also a member of the Euro Media Group formed from the 2007 merger of the Dutch United Broadcast Facilities and French Euro Media Télévision. 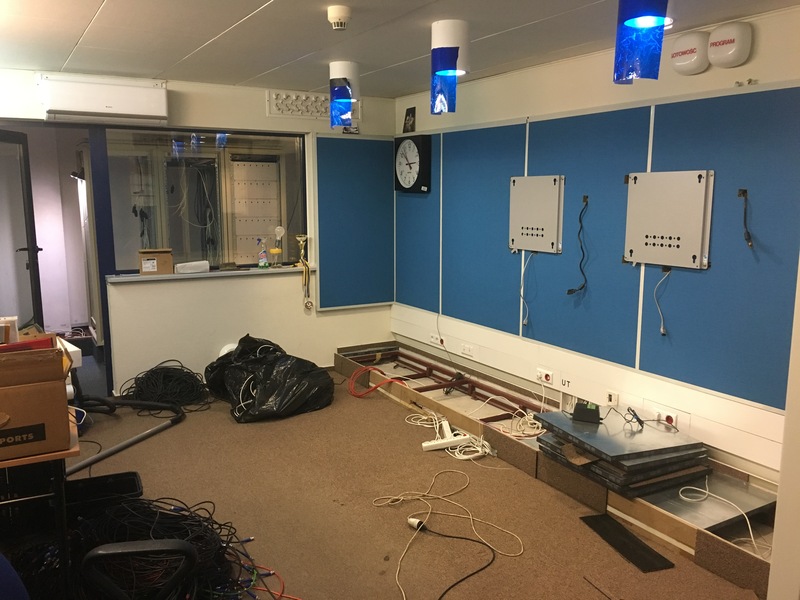 Euro Media Group is a leading provider of broadcast and film facilities on the European market with a vast footprint across seven countries which include the United Kingdom, France, Germany, The Netherlands, Belgium, Switzerland and Italy. PBT EU presented its new Timed-Text hybrid platform NEXT-TT to a record number of attendees at The Languages and The Media 2018 Conference in Berlin this month, which hosted over 375 participants from 40 countries. 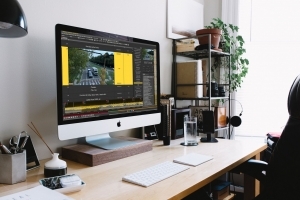 Powered by Profuz Digital, the new web-based hybrid platform NEXT-TT solution consists of the subtitling software application SubtitleNEXT working together with LAPIS (Limitless Advanced Powerful and Intelligent System). Combining these two separate potent components results in one powerful unified platform. SubtitleNEXT and LAPIS can also be used separately. The winning combination has resulted in efficient capabilities that now enable much faster and even more reliable high quality timed-text management, dubbing and localization toolsets that equip translators, AV professionals, and creative freelancers to work at a much more effective level. 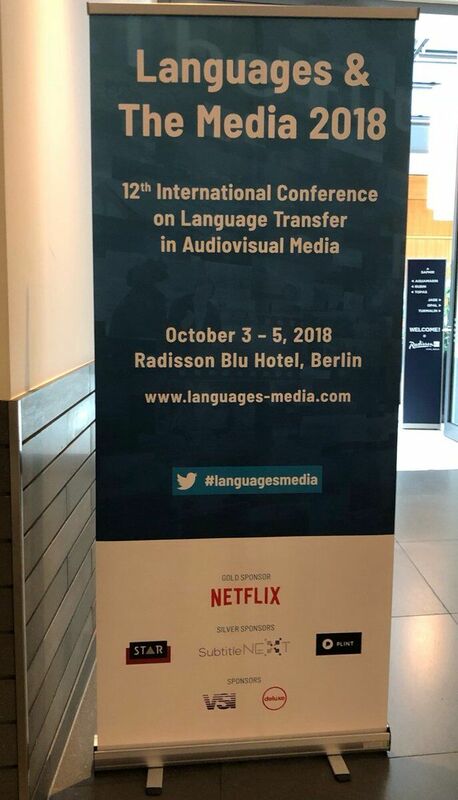 This year’s event marked the 12th international conference on language transfer in AV, designed to examine crucial challenges and the way in which cutting-edge technologies like SubtitleNEXT are changing how AV media is delivered globally and how it’s consumed across languages. 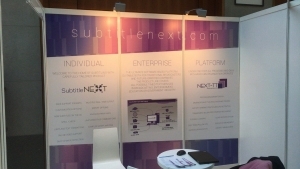 PBT EU was a key Silver Sponsor displaying the SubtitleNEXT logo among four other industry heavyweight brands namely Deluxe, Plint, STAR and Gold Sponsor, Netflix. In addition, the conference included an exhibition, where PBT EU welcomed visitors to their booth. They conducted over 70 demos and attracted enormous interest from a wide range of people that included students, professional subtitlers, academics, business owners, through to Language Service Providers from all around the world. Visitors to the PBT EU booth were impressed that the hybrid NEXT-TT can be used for a plethora of tasks that include audio descriptions, dubbing lists, captions, subtitles, annotations, creative subtitles, live subtitling, gaming and corporate video localization. The fact that these can then be integrated within a variety of other project management systems was a key factor. NEXT-TT provides subtitlers with more options as to how they choose to work, whether it be on the desktop or in the cloud. He expanded further, “Being involved in a conference of this high calibre has been extremely positive and productive for us as a company. We had the opportunity to talk to top industry influencers and users from across the globe and we were eager to hear about their challenges. At IBC 2018, PBT EU successfully launched its new Timed-Text hybrid platform NEXT-TT powered by Profuz Digital, providing users greater freedom of choice in how they work with desktop or cloud applications. PBT EU also introduced at IBC, innovative developments in its own brand EXEcutor™ Media Integrator module which continues to expand capabilities offering scalable and robust infrastructure to meet the needs that broadcasters, on demand video, and OTT content providers require. The NEXT-TT solution is made up of of two distinct elements that work together as a unified platform: LAPIS (Limitless Advanced Powerful and Intelligent System) with timed-text subtitling software application SubtitleNEXT. The fusion has resulted in new capabilities that enable fast and reliable high quality timed-text management, dubbing and localisation toolsets that equip translators, AV professionals, and creative freelancers to work more efficiently. “We are delighted to report a highly successful IBC show with our Hall 9 pod constantly busy attracting a steady flow of visitors. Following what has been one of the most productive IBC shows for us, we are now gearing up for our next key European event. 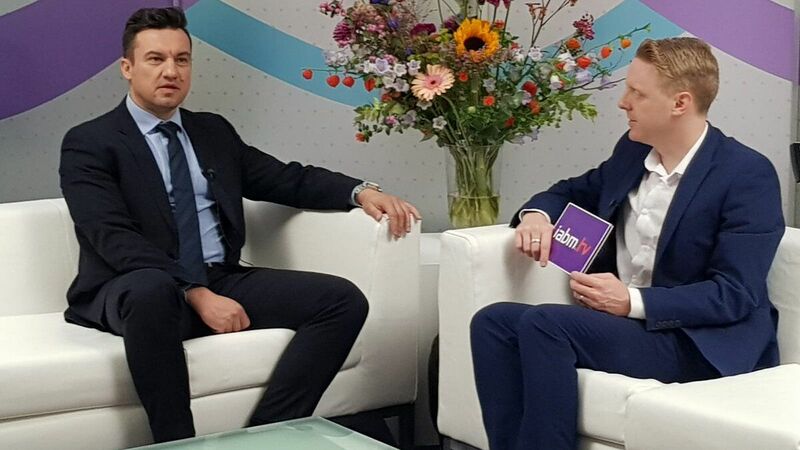 The NEXT-TT hybrid platform certainly proved a hit in Amsterdam and now it will be seen in Berlin at The Languages & The Media 2018 Conference.” Sales Director of PBT EU Alexander Stoyanov confirmed. PBT EU is supporting The Languages & The Media 2018 Conference in Berlin which kicks off this week from 3 – 5 October with its flagship platform NEXT-TT logo proudly displayed as official Silver Sponsor product of the show, alongside big-brand name sponsors such as STAR, Netflix, Deluxe and VSI. 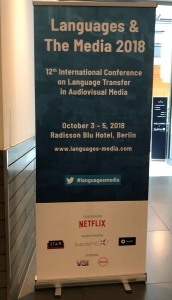 This year marks the 12th international conference on language transfer in AV media. Major themes at the conference include new distribution models, language tools, interlingual transfer, accessibility, the future of work and quality standards. Considered “the fourth Industrial Revolution reshaping languages in the media”, this dynamic conference will examine crucial challenges and the way in which cutting-edge technologies like SubtitleNEXT are changing how AV media is delivered globally and how it’s consumed across languages. The conference will be accompanied by an exhibition, whereby international solutions providers will showcase a range of innovative products and services. As part of the lecture agenda, PBT EU representative Vladimir Stanic will present on the new web-based hybrid platform NEXT-TT which gives operators the best of both worlds with desktop and Cloud compatibility as showcased at IBC.